Making America Again 2024: The Book of David. THE POWERS OF THE PRESIDENT ARE VERY SUBSTANTIAL AND WILL NOT BE QUESTIONED! Is this a dream? Were among the thoughts running through David Robles’ head as he laid helplessly on the floor of his house, injured by gunshot wounds from intruders, while his family’s screams filled his fading mind. 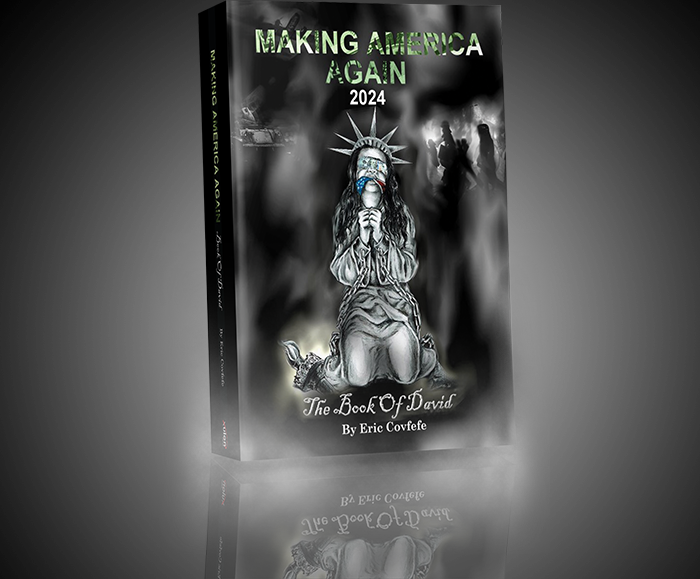 Such an event introduces readers right away to the plight of David Robles, his wife Elizabeth and their children, Maria and Marcos, in the latest suspense novel series, Making American Again 2024: The Book of David. As David’s mind slips into unconsciousness, he journeys back in time to 2022 when his family was just starting a hopeful trip to Florida. An innocent stop at a roadside diner quickly turned into an example of current hostilities within the nation and racial prejudice. The recent news of the enactment of Muslim camps in the nation led everyone to see others as Muslims in hiding, and Elizabeth’s Latino features made no exception. Besides being ridiculed by diner employees, the family also went through the mockery of being searched and questioned by police as to their ethnicity and travels. The trip’s ill-fated turn of events was only a glimpse of the changes to come to America, with the amounts of protests, segregation and right restrictions beginning to escalate among all races, cultures and social classes. David reiterates the thought from the start of the book: could this be a hurtful dream he was experiencing, seeing his family persecuted for their Hispanic backgrounds, or was it an all-too-real nightmare playing out in The American Nation? Is making America again at the cost of the livelihoods of citizens trapped between governmental control and wealthy ambition or is it just the leaders of our Country acting in our best interest to preserve The American Dream and save the citizens of this great nation from their own inevitable self-destruction?